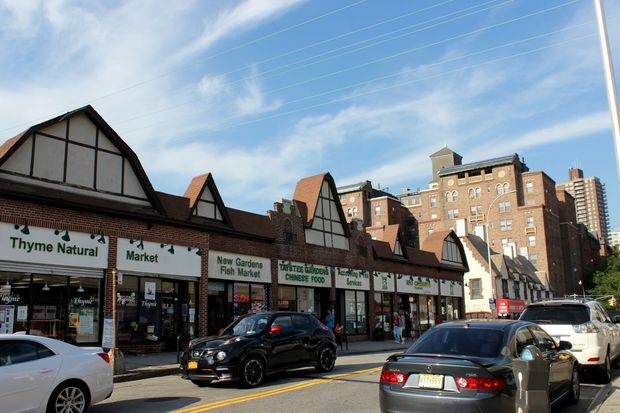 The Long Island Rail Road bridge in Kew Gardens is home to 13 mom-and-pop businesses. QUEENS — The news that several local businesses along the Long Island Rail Road bridge in the heart of Kew Gardens may face demolition prompted a group of local artists to invite kids and their parents to a workshop where they will be able to voice their opinions through art. During the free event, scheduled for this Wednesday at The Potter’s Wheel, children will get to draw, paint, make collages, signs and Tibetan prayer flags, which will later be displayed in the windows of local businesses and on fences in the neighborhood, the organizers said. “The Lefferts Blvd Bridge has made a tremendous impact on our community affecting the lives of the people of all ages who live here,” a flier about the event reads. "Using art as your medium let your voices be heard." All supplies will be provided, but participants can bring along pictures and other materials they’d like to include in their collages. The crumbling bridge, built more than nine decades ago, is home to more than a dozen small businesses, which may be destroyed as the MTA is trying to decide what to do with the aging structure. Local organizations have created The Save Kew Gardens Coalition vowing to fight for the bridge and local businesses. They have also launched an online petition on Change.org which had nearly 3,000 signatures as of Monday. “[The bridge] has been the heart of the whole community and the ramifications are pretty scary for most of us,” said Grace Anker, the owner of The Potter’s Wheel, who is organizing the event with the help of several community activists. “And I think all people in the community need to have a voice in any decision-making, and that includes the kids," Anker added. The free workshop will take place Wednesday, June 14, from 3 to 5 p.m. at The Potter’s Wheel at 120-33 83rd Ave., in Kew Gardens.